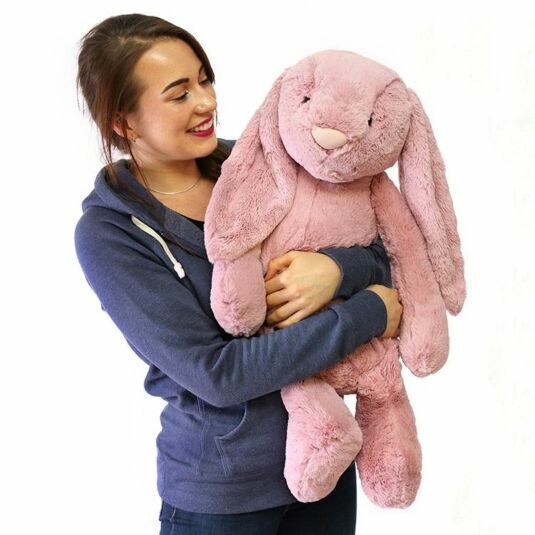 Take this cute and cuddly plush bunny for a country walk or keep her cosy and warm at home. She has beautifully delicate pastel pink coloured fur, a cute pink nose and adorable soft fur which has to be stroked. 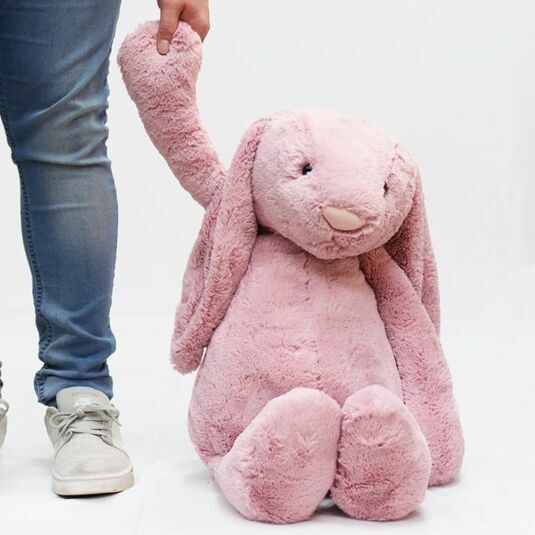 This Bashful Really Big bunny also has a few plastic beans in her bottom, meaning she can sit up on her own on a chair by the bed while your little one sleeps. Massive in size her cuddly body will soon soothe anyone to sleep! This beautiful piece is an amazing gift, great for Christmas, birthdays and valentines. 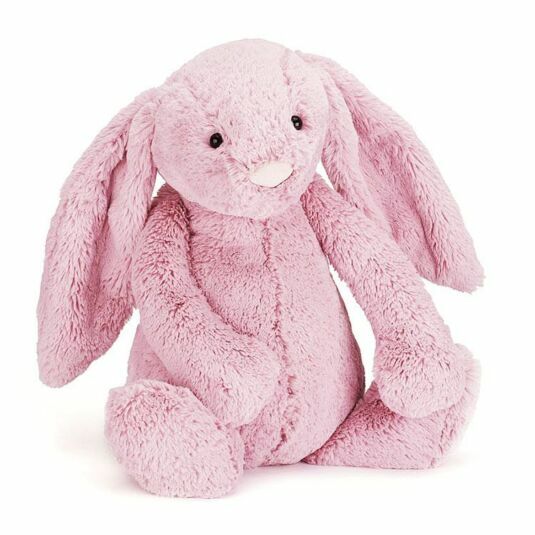 Don’t hesitate with this great gift; this gorgeous tulip bunny will keep anyone company.